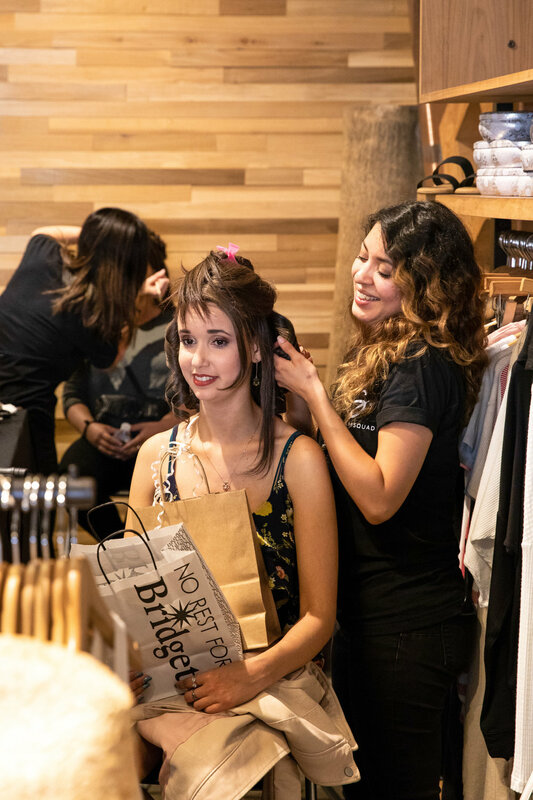 Bridgets, grab your friends and come pamper yourself with a complimentary beauty service by Glamsquad while you shop our newest collection and enjoy a specialty cocktail by Nekter! - Enjoy an exclusive shopping discount! - Receive a free beauty service by Glamsquad. - Sip on a cold pressed cocktail supplied by Nekter. - Enjoy dessert bites by Euro Caffe. - Receive a free surprise gift bag (first 50 customers) with any purchase! Surprise gift bag includes a product from Face Halo. -Receive a $30 voucher towards your first set of lashes at Amazing Lash Studio Huntington Beach. -Enter our to win Shopping/Beauty Contest Giveaways!